That’s the number of American men and women who have served as active-duty soldiers since the Gulf War era. Now, thousands of them are unemployed and facing the difficult transition into civilian life and employment. You’re probably one of them. Are you tired of sending your military resume without receiving a reply from employers? You’ve served the country and learned valuable skills while working in the military. So why aren’t you getting interviews? Thousands of veterans like you face the same challenge. The good news? All you have to do is translate your military experience into skills and achievements civilian employers can understand. 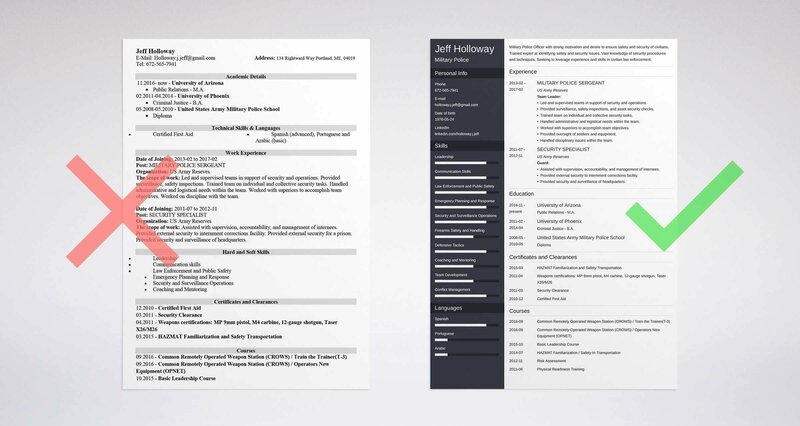 A military resume example better than 9 out of 10 civilian resumes. How to write a military to civilian resume that will land you more interviews. Tips and examples of how to put skills and achievements on an ex military resume. How to describe your experience on a military resume for a civilian job of your dreams. Ex military veteran resumes contain terminology and acronyms that some recruiters might not understand. Phrases like, “Assistant G-3 Training Officer” and “Battery Commander” might be impressive in the service, but don’t mean much for potential employers. Briefed aircrews on dealing with airlift support of Army forces. Served as military representative to aerospace industry team responsible for the approval and certification of equipment and aircraft for airlifts. Coordinated the administrative and logistical support of U.S. and allied forces deploying through the base. Developed specialized Environmental Impact Statement that gained approval for use of an environmentally sensitive area as a tactical airlift training complex. Approval resulted in the saving of over $100,000 in yearly training costs. This military resume example comes for a management job from Washington’s government career portal. What does the job experience above have to do with management? It’s hard to tell without speaking to the applicant. The applicant won’t have a chance to explain her side of the story unless her army resume wows the recruiter. That’s why you need to know how to write a military resume. Demonstrate the civilian applications of your hard-earned military skills, accomplishments, and experiences. Entice recruiters and HR managers to call you for an interview. Serve as a guide for future job interviews. Prevent recruiters from doubting your ability to transition into civilian employment. Bridge the gap between who you were in the service, and who you want to be as a civilian employee. How can you write military resumes for civilian jobs? It might be easy if you’re an army medic or a Marine Corps chef. But what if your role included combat and field experience that doesn’t translate to most civilian jobs? I’ll answer those questions and more in this guide. It’s hard to figure out what military skills to put on a resume for a civilian job if you don’t have a career path in mind. Strategize first before you start writing a military resume. Research occupations closest to the jobs you held while on duty. Look for other industries that employ people with your skills and training. And if you can’t decide on one career path, that’s okay. Start by creating a military resume template for yourself that you can use as a basis for different versions of your resume. Make a master list of your professional merits. Which of your skills, training, military awards, and education are useful for the job you’re targeting? If you’re applying to be an accountant, the award you won in marksmanship won’t do you any good. Same goes for information about the bases where you’ve worked. It’s hard to accept that the skills it took you years to learn aren’t going to help land your next job. But you have to realize that everyone who moves to a new industry has this experience. A graphic designer who decides it’s time to become an Air Traffic Controller doesn’t need to put her Photoshop skills on her civilian resume. Right? You will find it necessary to eliminate some of your experience and military skills for a resume. Focus on what’s transferable to your new role. Here’s the thing. You could be using language on your military veteran resume that civilian employers don’t understand. It’s normal after spending years in the military. Recruiters and interviewers, who have no background in the military, can’t understand the lingo used in the corps. That’s why you’ll need to translate military to civilian terms, so whoever reviews your veteran resume sees your potential. Don’t use military code. Don’t include base or ship codes, unless it’s relevant to your target job. Use your military job title or a civilian equivalent instead of your MOS designator. Not sure about the civilian equivalent of your military job? There are tons of sites available to convert them for you. 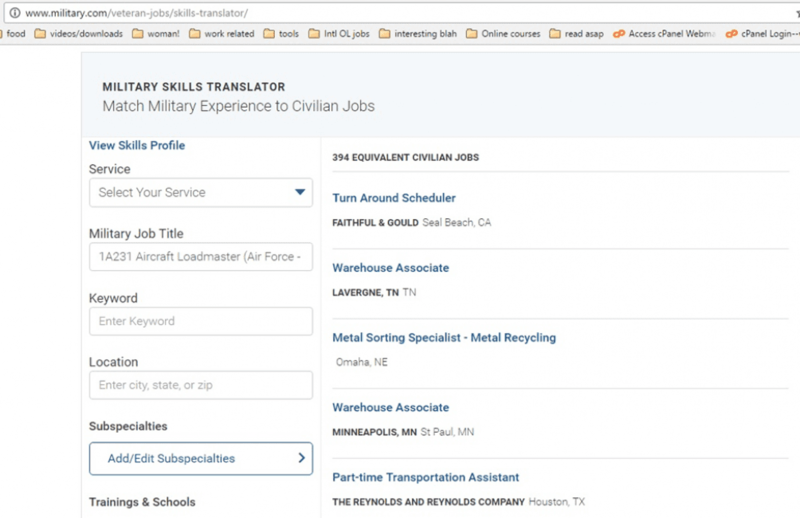 CareerOneStop’s Military to Civilian Occupation Translator. It’s sponsored by the U.S. Department of Labor, so the information provided is reliable. Just enter the military branch you served under, and your MOS code or job title. After that, you’ll see a list of civilian job titles and in some cases, actual open positions. If you’re not ready to apply just yet, that’s okay. Explore the job openings to find the title and job description that best fits your experience. Whatever you do, don’t copy anything from these sites verbatim—aside from job titles. Paraphrase and use the power of thesaurus to aid you. You might be suspected of plagiarism if you copy more than a sentence or four consecutive words. On the other hand, inserting keywords from the job description into an ex military resume never hurts. Michael Richards retired after a stellar 15-year stretch of military service during which he specialized in workforce management and deployment. He’s now pursuing an executive position in HR and Talent Development. Michael has two options when it comes to writing a resume career summary for his military transition resume. He can focus on who he was in the military or who he wants to become as a civilian. Since your ex army resume summary is the first thing hiring managers look at, whatever Michael picks will affect his chances of landing the job. Exceptional leader with analytical skills and talent development experience. Fifteen years in workforce management and personnel deployment for the United States Army. Assisted several Army staff agencies and commands in optimizing their workforce according to available talent resources and their mission’s priorities. A workforce and talent development expert with 15 years of experience in sourcing, organizing, and deploying diverse talent to form top-performing teams for the United States Army. Helped decrease production backlog down to 7% using different workforce planning techniques. Created talent development programs encouraging team members to take on more responsibility. The first veteran resume summary mentions workforce management, talent development, and leadership experience. But the hiring manager might have no idea if workforce planning in the army is the same in corporate offices. Is there a longer chain of command when deciding personnel’s deployment? Is there a more red tape? What tools are used? It also lacks keywords from the job description that hiring managers want to see. Try to anticipate what questions a hiring manager might have after reading your military to civilian resume. Then find a way to address these questions on your post-army resume or in your cover letter. Addressing these questions is crucial for military resume writing. The second example mentions that Michael’s military experience is limited to the United States Army, but it elaborates on his transferable skills and responsibilities. Pro Tip: You need to add keywords from the job description. Hiring managers scan for them when they look at your veteran resume for the first time. Don’t limit your army experience to the core functions of your role. Think about other experiences and skills you gained as part of the job. Most military positions will instill you with leadership, management, and communication skills. Attention to details and the ability to work under duress are part of the package too. You just need to emphasize them. Below is a sample navy resume, from Timothy Stergiou-Allen, Veteran Naval Officer from the UK. You’ll notice it’s stripped of military jargon. If “Royal Navy warship” and “NATO deployment” wasn’t mentioned, this military resume example could be mistaken for the resume of a civilian PR professional. Aside from specific accomplishments (highlighted in yellow), the sample military resume also explains Stergiou-Allen’s transferable skills as a PR officer and COO (highlighted in red). Adding peer development and training coordination suggests he knows how to mentor others and conduct training sessions. Releasing stories via digital and social media channels means he’s familiar with the tools used for digital marketing. Led and mentored a diverse team of 25 people, attaining a 5% increase in promotions and 20% decrease in turnovers. Received recognition for reporting and documentation accuracy. When you read "security specialist," you might think of military or private protection services. Transferable skills, such as mentoring, documentation, and security management, are good candidates for financial and management jobs. That’s because integrity and accurate reporting are mandatory. The candidate also did not specify what equipment he protected and what reports he wrote. Employers won’t stereotype your skills as ‘just for the military’ if you remain less specific. Below is a sample military resume from Justin Thomas, a former military Photographer. 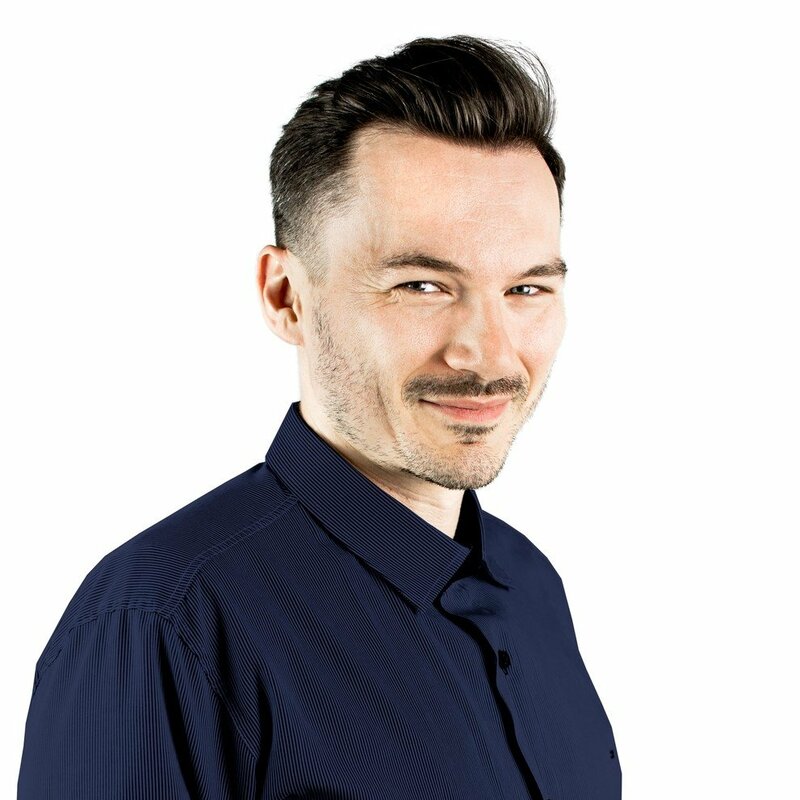 You can see how Thomas explains his skills in photography and image management in a concise way while mentioning his competency with the expected skills and tools for the job. Led a 15 person team in completing different operational goals. Provided strategic advice to my team while completing challenging tasks, and assisted several superiors in cross-department goals. Led a 15-man team in combat missions. Provided technical and tactical guidance to help both commanding officers and subordinates in completing several missions in Iraq. Hierarchy is different in the civilian setting. "My team" and "superiors" is better suited than "subordinates" and "commanding officers." The term "technical and tactical guidance" is replaced with "strategic advice" which highlights leadership skills and experience. 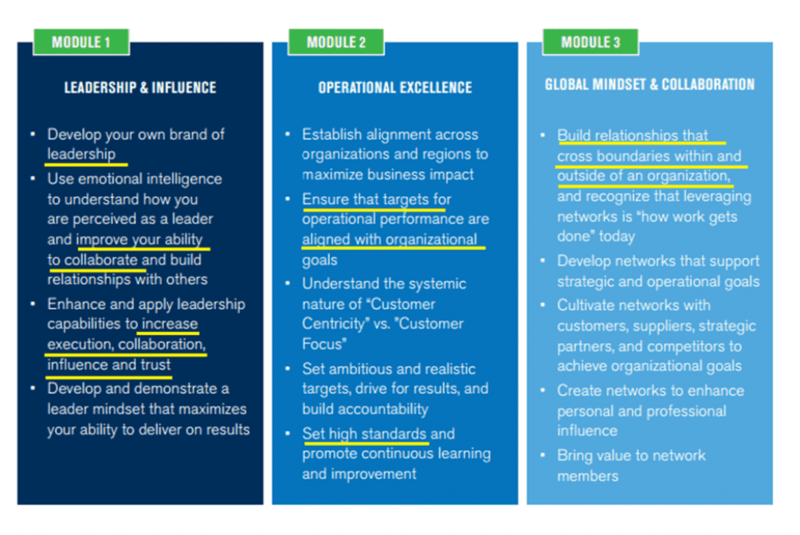 "Combat missions" is replaced with "operational goals", which is applicable to a variety of corporate goals. These changes prevent hiring managers from thinking your mentorship and leadership skills are limited to battle plans and military exercises. Your choice of words can affect the way potential employers see you. It’s up to you to make your image positive. Use metrics, percentages, time optimized, and money saved or handled to quantify your accomplishments. Trained and managed the workload of 10 personnel in aircraft maintenance, resulting in a 27% decrease in unexpected repairs. Doesn’t that sound impressive with all those numbers? Sometimes, an achievement can’t be tied to a number. In that case, it’s best to give your accomplishments some context. Write a sentence or two explaining the significance of your achievement to emphasize the impact you made. Let’s say you were selected to train new aviators to use the weapon systems and navigation equipment of different aircraft. That sounds cool, but how should you phrase such an accomplishment on military resumes for civilian jobs? Focus on the fact that you were hand-picked to train people. Developed my classroom and hands-on training skills after being selected to guide new aviators in using weapons systems and navigation instruments for different aircraft. Military training can be transferable to civilian employment. All you have to do is list the training events and courses you attended followed by a short description. Not sure how to describe your training? Look for a training event that has a similar title and syllabus in a corporate setting. For example, a Google search for aviation leadership courses led to this training course from the International Air Transport Association (IATA) and Harvard Business Publishing. Just compare the examples you find to the training you had in the military. What skills do both training courses have in common? In the example above, leadership, collaboration, setting high standards, and building relationships are themes that match the following Airman Leadership School example. You don’t have to write the description verbatim. Choose a couple of common keywords and summarize the course description. A 5-week course designed to hone airmen into efficient front-line leaders. It develops the participants’ communication, leadership, and management skills while giving them a broader understanding of the military. The Profession of Arms, International Security, and Warfare Studies courses were also included in the training but the candidate did not include them on their military resume to avoid drawing attention away from the leadership material. Without a description, it’s easy to conclude that the candidate’s training doesn’t have other applications. Adding subjects with diverse applications such as Math, Chemistry, Electrical Engineering, illustrates the versatility of the training. Security clearances, even for non-sensitive and not so top-secret access, show proof of your accountability and responsibility to employers. A Top Secret (TS) clearance can cost thousands of dollars, so companies would rather look for someone who’s already undergone the background investigation and training required to get it. If you’re applying for Boeing or Lockheed Martin, and similar companies, put your security clearance at the top of your resume. It helps recruiters decide whether they want to take a chance on you. “Most frontline troops look into private security or law enforcement. In this case, combat experience is incredibly relevant,” says Allen. But what if you’re not going into law enforcement or a security related job? In that situation, adding details about your active combat experience is a bit of a coin toss. Some might think you’ll have mental problems like PTSD because of your experience. Defending your country and its people is an admirable career. The unfortunate reality is that many returning troops suffer from depression, PTSD, and other mental illnesses. These ailments, while obviously not applicable to everyone with combat experience, may make some employers hesitate to hire you. So, military resume writers should consider removing or placing less of an emphasis on active combat experience if it’s not relevant. Yes, you need a cover letter. Hiring managers often scan resumes for information to decide if you’re documents are relevant. After, they’ll check your cover letter to get a fuller image of you. Don’t repeat what you’ve written on your military resume. Instead, use your cover letter to complement the information you’ve provided. Your cover letter is the place for providing explanations and fleshing out information you kept brief on your veteran resume. Choose a career path before putting your military experience on a resume. Translate your military skills, accomplishments, and work history into layman’s terms. Include relevant training and education. Be careful about including information about active combat. Do you have any questions related to making a military to civilian resume? Give us a shout in the comments section!